From cuddly huskies to cute marmottes, there are loads of wild animals living in the snowy Alps - but they're not always easy to spot unless you know where to look! For fans of adorable creatures and curious beasts, here are a few Alpine animals to seek out on your next ski holiday in the mountains. Freestyle Challenges in the Snowparks of Europe. The adventurous sports of skiing and snowboarding attract thrill-seekers keen to experience the best of the Alps' great outdoors. Across the soaring peaks and valleys, carefully groomed snow parks offer the perfect opportunities for freestyle skiers and boarders to test their nerve and enjoy the unique thrill that only ‘big air’ brings. Ask anyone on the Interactive Resorts sales floor what the best thing about working here is, and chances are the first answer you’ll hear is ‘the people’. We’ve all put a shift or two in among the snowy slopes of the Alps and share a mutual passion for all things ski and snowboard . Is #Brexit Best, or Are We #StrongerTogether ? As the 23rd June referendum dominates newsfeeds, people across the length and breadth of Britain must weigh up the pros and cons of staying within Europe or striking out on our own. An annual report has shed some light on which resorts drew the most skiers and snowboarders during the 2014/15 season, with French and Austrian destinations coming out on top. The High Court has backed a parent who took his daughter out of school for a holiday during term-time, a judgement that could affect thousands of UK families with their eyes on more affordable Alpine getaways. Disability Snowsports UK aims to help anyone and everyone — regardless of their physical capabilities or limitations — enjoy snow sports. To help them in this very worthy mission, a new patron has joined their ranks. Take the relaxed dining experience of a catered ski chalet and add in the rooming flexibility of a hotel. Mix in a dusting of fresh snow, perhaps a little lively après ski and a selection of happy skiers from different walks of life, and what have you got? 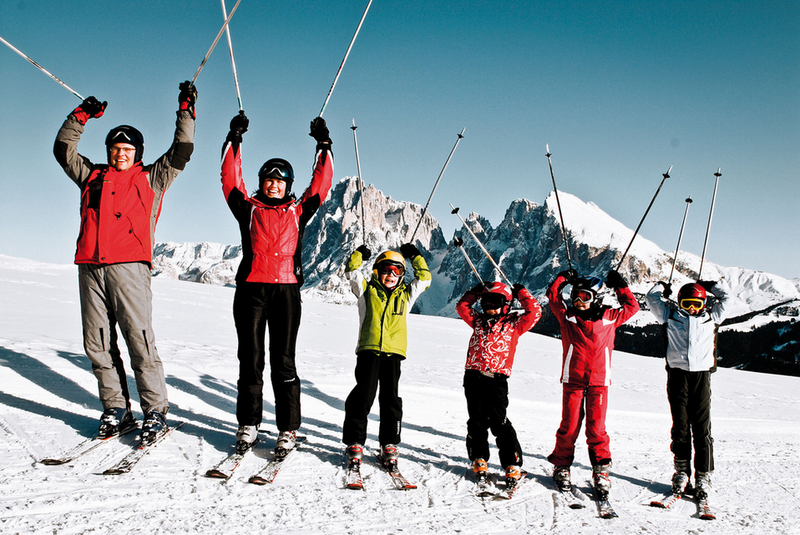 The perfect ingredients for a successful ski holiday, all wrapped up in one comfortable chalet-hotel.